The end of the 2015 Atlantic hurricane season last November, which continued a general trend of below average storm activity, marked ten years without a major storm hitting South Florida. Now, if there has been no recent source of major storm damage in the area, why does it seem that the premiums for homeowners insurance continue to increase? Insurance companies are pointing to the rising costs of building materials to explain why rates aren’t falling due to the improvements in natural disaster damage, but not everyone is buying this excuse. South Florida’s history with big storms is well-known for causing havoc for property owners. 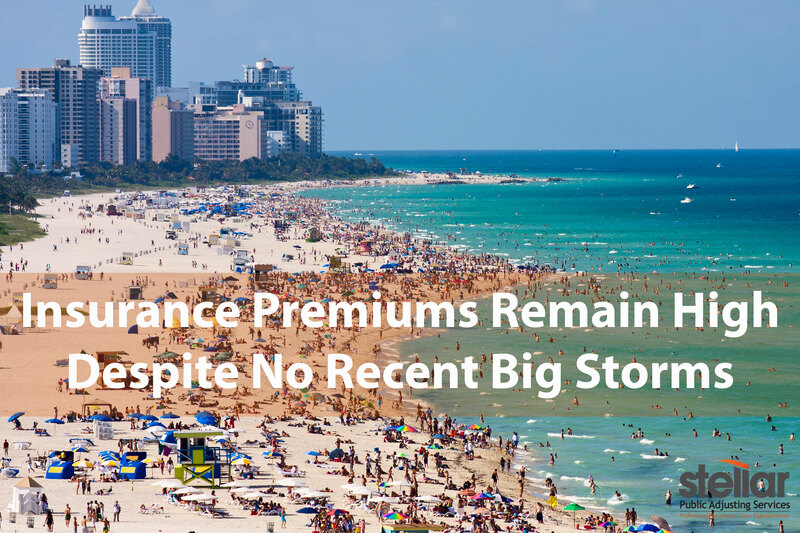 The severity of storms in the past have caused insurance companies to take taxing measures towards coverage and policies, although, the last hurricane to hit Florida was Wilma in 2005. Regardless, it is extremely important, as a property owner, that you connect with a professional public adjuster here at Stellar Public Adjusting to gain a clear understanding about your insurance coverage for hurricane damage claims. Do not let the recent lull in storm activity fool you. The potential damage of a hurricane can not be trivialized. In fact, hurricanes by definition are powerful and are able to cause serious water damage, mold damage, flood damage and structural damage. So, even though a major storm hasn’t hit Florida in over ten years, you should contact Stellar Public Adjusting today to make sure you are covered in case disaster strikes…Because the cost of doing nothing could be catastrophic!